Your choice of siding does more than make your home look great. It protects your home from weather and insects, affects your utility bills, and impacts the value of your home. Siding contractors are often asked about the benefits of vinyl vs. aluminum siding, so we created the following guide that compares the pros and cons of aluminum and vinyl siding to help you decide! The most common siding choice in the U.S. is vinyl. It is relatively inexpensive, yet durable when installed correctly. It is low maintenance and easy to clean. If your climate is fairly mild and it is properly maintained, vinyl siding will last for 40 years or more. In harsh climates with extreme heat or cold, it won’t last as long but is relatively inexpensive to replace. It is available in many colors, styles and textures. The color you select is added during product manufacturing, so the color goes all the way through. This means that nicks and scratches don’t show up because there is no contrast in color. With modern manufacturing standards, today’s vinyl is more resilient to high temperatures. It is also resistant to high winds and keeps its color longer than older models. Most brands meet or exceed manufacturer claims. Aluminum siding was introduced In the 1930s, and immediately began to replace wood siding. It was cheaper, easier to install, fire-proof, and lower maintenance. The advent of WWII in the 40s and then the energy crisis of the 70s took their toll on the aluminum market, causing vinyl to take its place as the low-cost, low-maintenance option. It is still a little more expensive than vinyl, but lasts longer. It can be ordered in many pre-applied colors that are baked on. It is manufactured in several styles that imitate the look of wood siding. Its insulating ability is the same as vinyl. Aluminum siding is fireproof, dent-resistant, and insect-proof and if you take care of it, it will last over 50 years. We’ll go into a detailed comparison for each of these factors below. After reading this guide, ask your siding contractor for their thoughts on which they recommend for your home and why. Vinyl is somewhat less expensive than aluminum siding. The cost for professional installation of vinyl siding ranges from $3 to $7 per sq. ft., while aluminum siding ranges from $5 to $9 per sq. ft. Both vinyl and metal are available in different gauges (thicknesses) – thicker is more expensive. Your location will affect the price, based on how far the product has to be shipped. The style, profile and texture you order will affect the price, as will the complexity of installation. Aluminum does cost a little more than vinyl, but it is still quite economical, as it is cheaper to produce than 80% of other materials. Under the right conditions, heavy gauge metal siding can be applied right over your existing siding. This saves you $1000 to $3000 in siding removal costs. Siding contractors like installing aluminum siding because it is lightweight and easy to cut, which further reduces installation costs. Vinyl siding needs to be maintained only slightly less often than aluminum. They both need to be cleaned occasionally – typically by washing with a garden hose and wiping it down with a soft cloth annually. 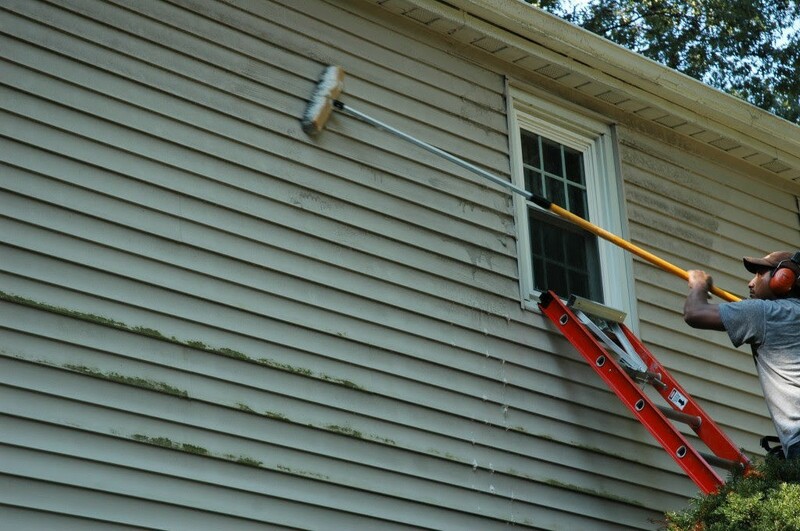 This not only keeps the siding looking nice, it washes away any debris that has accumulated. Neither of these products will rot, but accumulated debris can host mildew or mold and should be removed. Both of these products are painted by the manufacturer, and the colors last a long time – only needing to be repainted every 10 to 12 years. Over the decades they will fade, but vinyl has the advantage here. That’s because the color goes all the way through vinyl, while the colored enamel is bonded to the surface of the aluminum. In addition, constant exposure to sunshine will make the enamel on metal look chalky. If you live in an area prone to severe weather such as severe hail storms, vinyl will have an advantage for a while. This is because it is more flexible than metal and will bounce the hailstones off, while metal will dent. When damaged panels need to be replaced, vinyl wins again. It is inexpensive to replace and can often be done as a DIY job. Metal is a little more expensive, and most homeowners need to hire a professional to do the job. Both insulated & non-insulated versions have similar energy efficiency ratings. If you are planning to replace your siding, it is an excellent chance to improve your home’s energy rating. New siding will make your home more airtight, helping it to maintain the temperatures you have set indoors. This reduces electricity usage and the stress on your air conditioner and furnace. Building materials are rated on their efficiency in resisting the flow of heat. The resulting R-value tells you just how efficient the product is in preventing heat from flowing from one place to another. Vinyl and aluminum each have an R-Value of .61. This alone can add some insulation to your home. However, if you opt for insulated siding, you can increase the R-Value to between 2 and 5. Both of these products is durable, but in different ways. After cost, durability is foremost in the minds of most homeowners. They want their siding to last a long time without looking worn out. The primary factor affects the durability of siding is its thickness. Heavy gauge vinyl and aluminum will naturally be stronger and more durable than builders’ grade. Flimsy siding will be harder to install without damaging, and will not stand up to weather and projectiles. Aluminum siding can be easily scratched or dented by unexpected sources. Kids playing baseball may miss a catch. You may prop a ladder against the wall and scratch the paint. A scratch in the enamel of aluminum siding will show the raw metal underneath, which doesn’t look very good. Aluminum does have an advantage over all other siding options on houses near the ocean. The salty air can be corrosive to other materials, but has no effect on aluminum. Vinyl doesn’t dent, and scratches that occur in the first few years don’t show up, since the color goes all the way through. But, a hard blow to a vinyl plank may crack or puncture it, where a metal plank will only dent. Best Siding for Cold Weather? Aluminum is probably the best choice for people in extremely cold regions. This is because metal is unaffected by cold, while vinyl can become brittle. When vinyl gets brittle, it will crack easily and moisture can infiltrate the substrate, allowing rot and mold to form on the structure of the house. Aluminum is impervious to extreme cold. Vinyl has the most options of plank size, color, style and texture. Metal siding has fewer options, but is easier to paint. Both types of siding can be ordered in a variety of colors and textures. 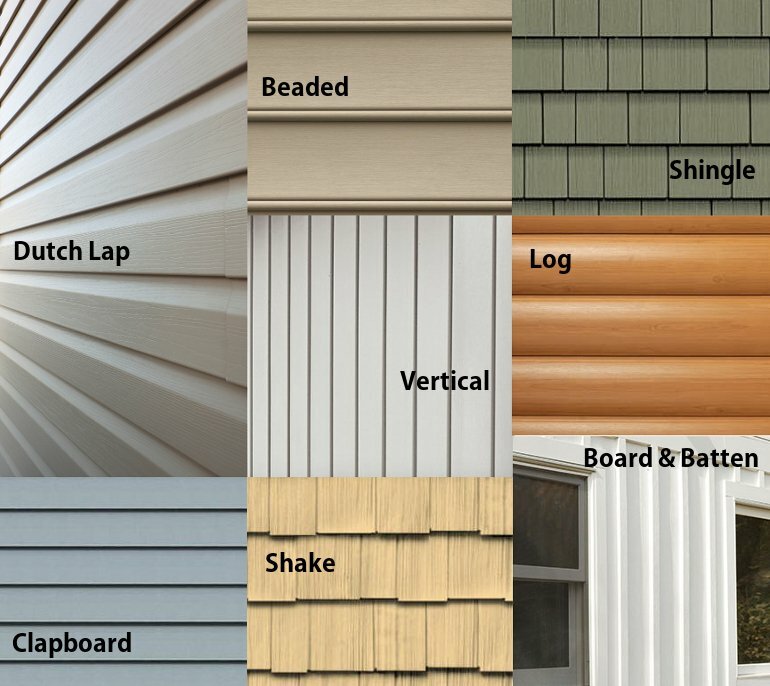 Vinyl siding has more options including dutch lap, clapboard, scalloped, beaded, shake and board and batten. Aluminum siding is offered in the standard styles: vertical, horizontal, board and batten. Several wood-like textures are available, but its metallic appearance makes it harder to mimic wood siding. They both come pre-colored. With vinyl, the color is put into the liquid mix and the color goes all the way through the product. Metal is enameled at the factory, with paint bonded to the metal. As for painting, not all vinyl siding can be painted. As the years progress and the colors fade, you may find yourself replacing the siding because you can’t paint it. Any aluminum siding can be painted. Both materials require special paint designed to stick to the base. 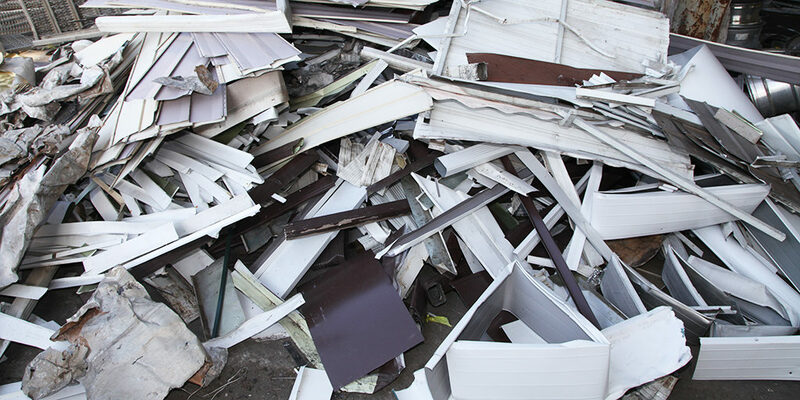 It takes very little energy to produce aluminum siding, and it is recyclable. It need not end up in landfills, because it can be melted down and reused. If you are concerned with the impact you have on the environment, aluminum may be the best choice of the two. Vinyl, on the other hand, is not easily recycled and usually ends up in landfills. It also takes more energy to make vinyl which contains the chemical polyvinyl chloride (PVC). While vinyl may last as long as 50 years on the side of a house, it is because of the PVC which does not break down and it won’t break down in a landfill either. Producing PVC creates the byproduct dioxin – a highly toxic chemical compound that is released when the material is burned and can cause cancer. 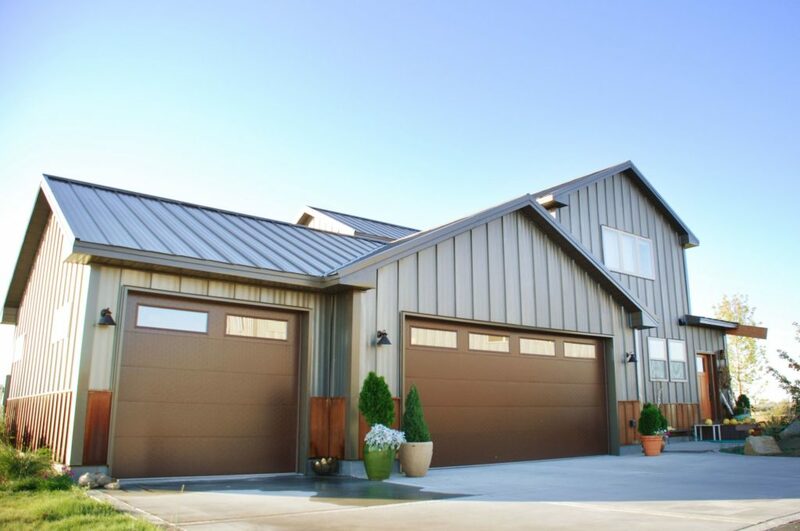 Steel siding is a great alternative to both aluminum or vinyl. It is stronger and harder than aluminum and can better withstand hailstorms and low-velocity impacts. It is immune to insects and offers an excellent long-term value at $7 per sq. ft. and 30 years of service. Steel, however, does eventually rust, while aluminum does not. While aluminum can protect your home in wet climates, steel will corrode. Since both types of siding are affordably priced, durable, and easy to maintain, this contest is a tie. Your decision will likely come down to whatever factor is your highest priority, be it curb appeal, cost, long term durability or the environment. 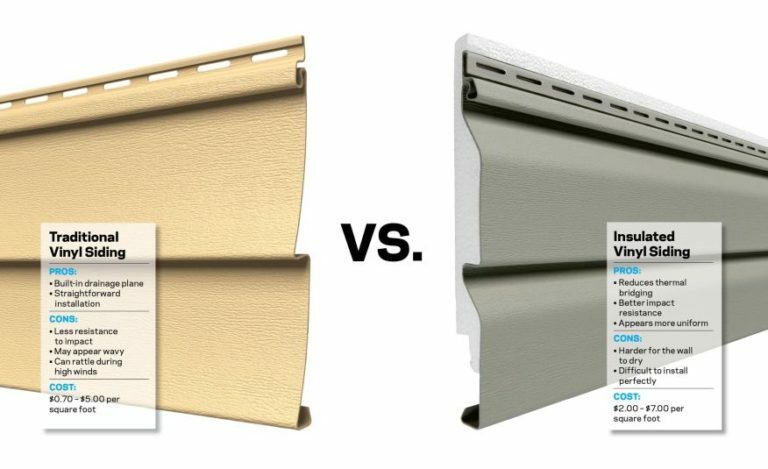 Which do you prefer, vinyl or aluminum siding? Have you received a quote? Tell us about your experiences in the comment section.